Hi guys! 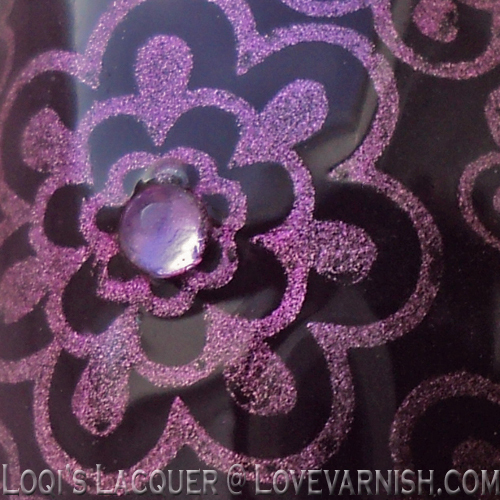 Today I've got a Glitter Gal polish to show you. This polish was sent to me by the lovely Maria from Hypnotic Polish (together with 2 other polishes I will be showing you soon as well) and I decided to swatch it and do some nail art at the same time! This is my first Glitter Gal polish and it's called She'll be right. She'll be right is a eggplant purple crème. Shown in the first few pictures is 3 coats, no topcoat. 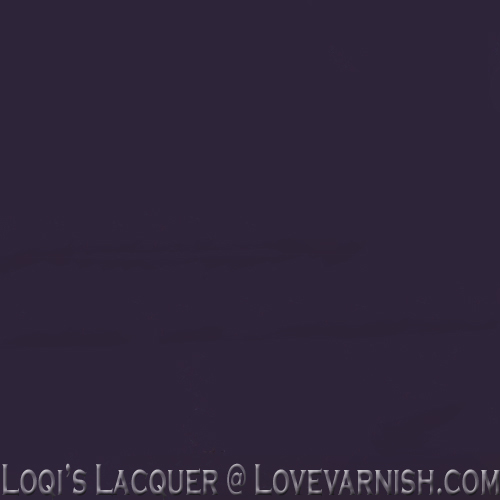 It's not too shiny by itself, so I would wear it with topcoat. But since it was my birthday last week (I'm 27 now, yay!) I wanted to do some fun nail art first! 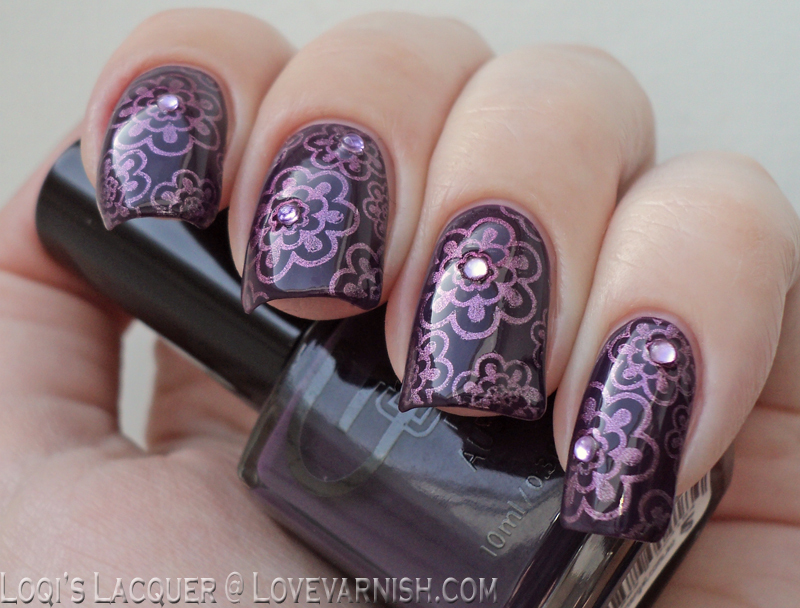 For the nail art I used the flower pattern from bm plate 321 with China glaze Harmony. 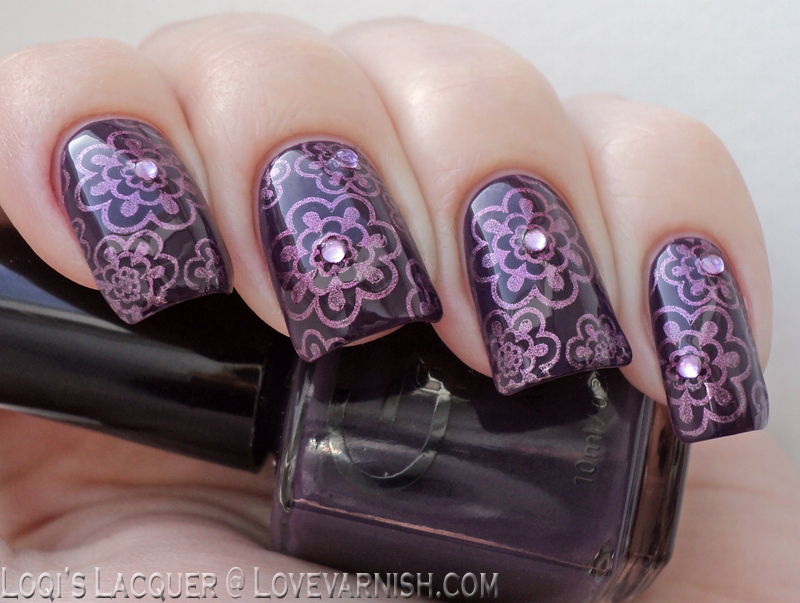 I then put some purple rhinestones in the hearths of some of the flowers and finished it off with a nice and shiny topcoat to make my birthday manicure! I hope you guys like it and see you soon! Hypnotic Polish is a European based indie stockist that ships internationally. For more information check out their Facebook page! This is also the place you can shop right now, but hopefully the webshop will be live soon. You can bookmark the website already to be sure you don't miss it! 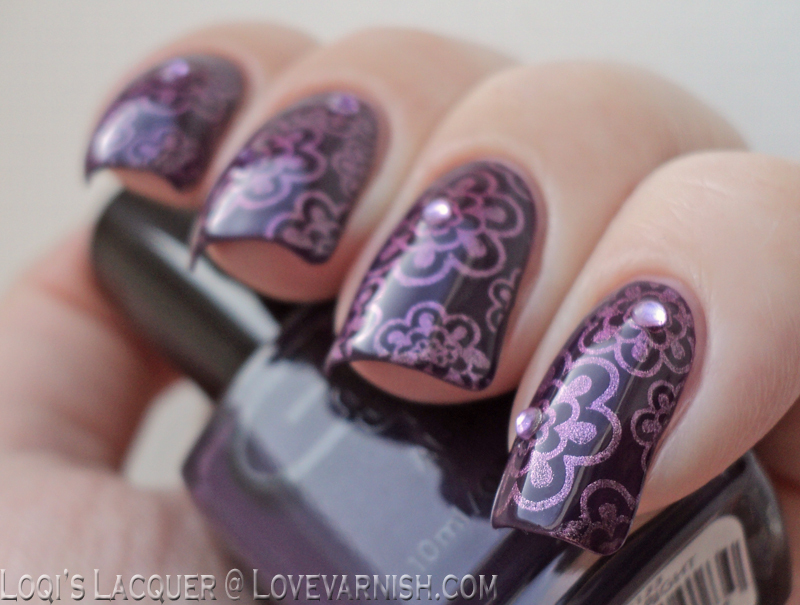 Your stamping is always so gorgeous! Thank you! I really adore floral designs myself too! I would love to try their holo polishes! They look fantastic!